Oftentimes, estate planning and retirement planning go hand in hand. In order to both have enough money to live on in retirement and have an estate left over to pass on to heirs, it is important to do all this planning hand in hand. One good reason why estate planning when retirement planning is important is because it can be a time when all of your personal finances and assets are in front of you. With all the information readily available, it can be easy to see the whole picture in terms of how far the assets will go into retirement, and what may be available to be left to heirs and beneficiaries. It is also a time at which you can evaluate the named beneficiaries on retirement accounts and insurance policies and make any required changes. Remember that generally, the named beneficiaries on these kinds of accounts is the person who will receive any payouts or benefits after your death. You cannot name a beneficiary for a retirement account or insurance policy in a will. When you reach retirement age, your medical care is also generally a concern. It is just as important to figure out how you will pay for medical care as it is to determine who will make medical decisions if you are incapacitated. Therefore, in addition to planning for how you will afford medical care in retirement, you have to plan to execute living wills or advance directives and name a health care proxy. Similarly, you should consider naming a person who will have power of attorney and manage your financial affairs if you can no longer do so due to incapacitation. 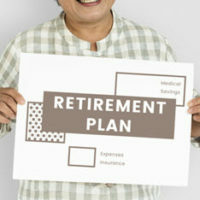 Some people consider relocating to a new state or country to live out their retirement. In making this move, they may buy new real estate in that new location or end up living there for a long period of time before their death. These are factors that may affect how a person’s will is probated, especially if the person still has assets in the prior home state. Probate may be necessary in two states, which could be expensive. It may therefore be necessary to consider other ways to leave assets to beneficiaries, for example, through the use of trusts. Finally, you should consider how taking actions that may provide you with money in retirement could also reduce your future estate. For example, if you take out a reverse mortgage, it may provide some money in retirement, but it would likely mean that your heirs will not receive the benefit of the property that is reverse mortgaged. Ideally, both retirement planning and estate planning should be done earlier in life rather than later, and then updated as necessary. If there are major changes to be made to either plan, it is important to review the other plan in order to make sure that they are both in sync. It does not matter at what stage you are in life, it is not too early to start estate planning, especially when you have sizable assets in your estate. For more information on how to get started, contact a knowledgeable estate planning attorney at Meyer & Spencer, P.C., with offices in Pleasantville and Mahopac, New York, and serving Westchester and Putnam Counties.